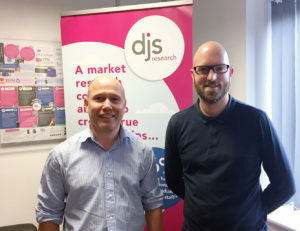 DJS Research has added a new research director to its Stockport-based team. Simon Driver joins the agency from London's Future Thinking, where he picked up particular experience in utilities, sport and transport and worked for brands including TfL, Capita, Ofwat and UK Sport. The appointment comes as DJS confirms its turnover for the year to the end of March 2017 reached £4.7m, up 11% year on year. MD Danny Sims said: “Simon’s experience in market research is invaluable to the development of DJS Research, as his areas of expertise in utilities and sports align well with the team’s strong skillset.